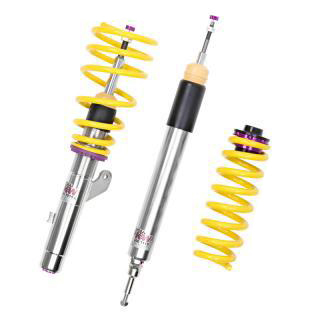 The KW height adjustable spring kit is used for lowering of the vehicle in combination with the standard dampers. Unlike to conventional spring kits, a customized height adjustment is possible within the tested adjustment range. For this solution, vehicle-specific spring seats with adapted KW lowering springs and matching elastomers as well as dust protection systems are used. The standard damper system for example with electronic or hydraulic control, continues to remain active. 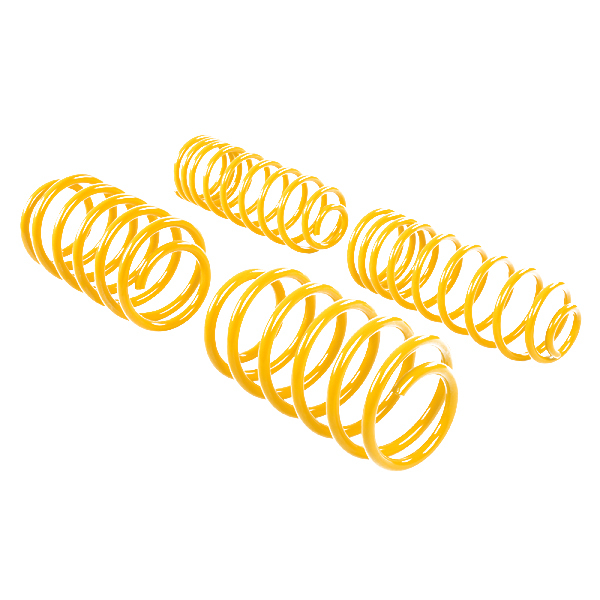 The used high-quality springs made of chrome-silicon steel for the KW height adjustable spring kits are adapted in their spring rate vehicle-specifically to the respective standard suspension damper and wheel loads. 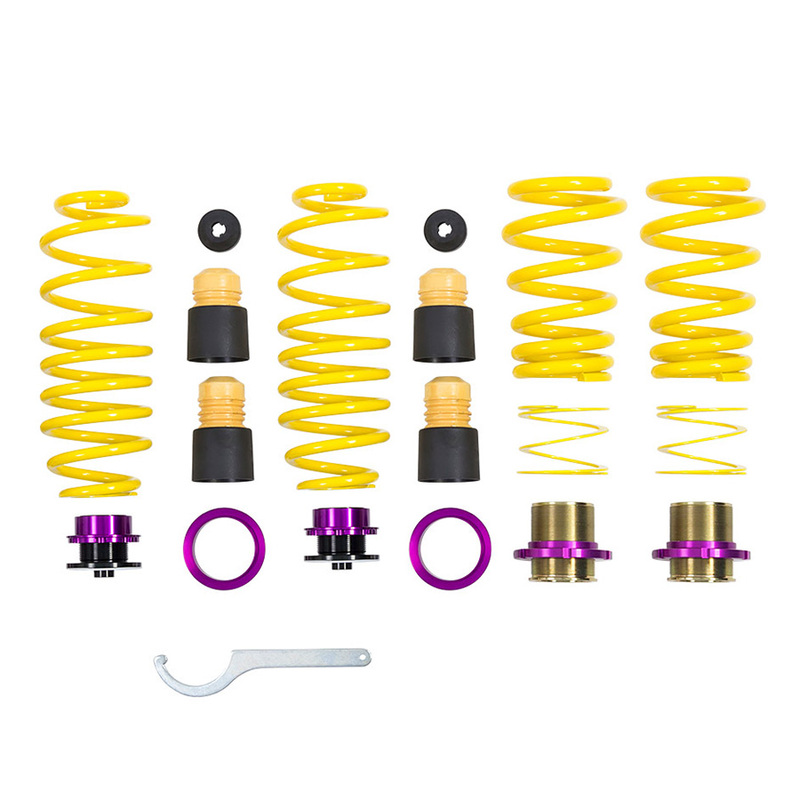 When developing the respective spring sets, we also take into account that the spring rates harmonize perfectly with the various damper characteristics of your adaptive standard suspension. 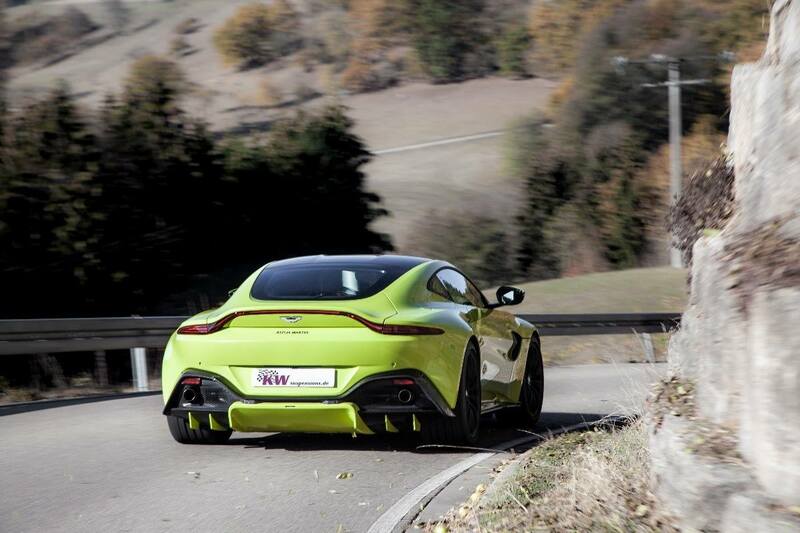 So even with a KW HAS you can experience your car more directly and dynamically. 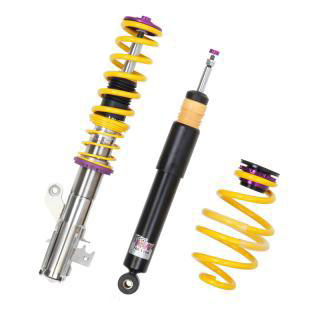 The KW coilover springs are suitable for automobile drivers who want to decently lower their car while taking advantage of an individual adjustment range. Similar to a coilover suspension, also the height-adjustable KW springs allow a continuous lowering within a decent range. This is not possible with conventional lowering springs. The dust protection elements and spring perches included in the delivery are always adjusted to the maximum possible lowering. So with the height-adjustable KW springs, a sporty and harmonious driving behavior can be realized without the driving dynamics of performance-oriented vehicles is suffering. 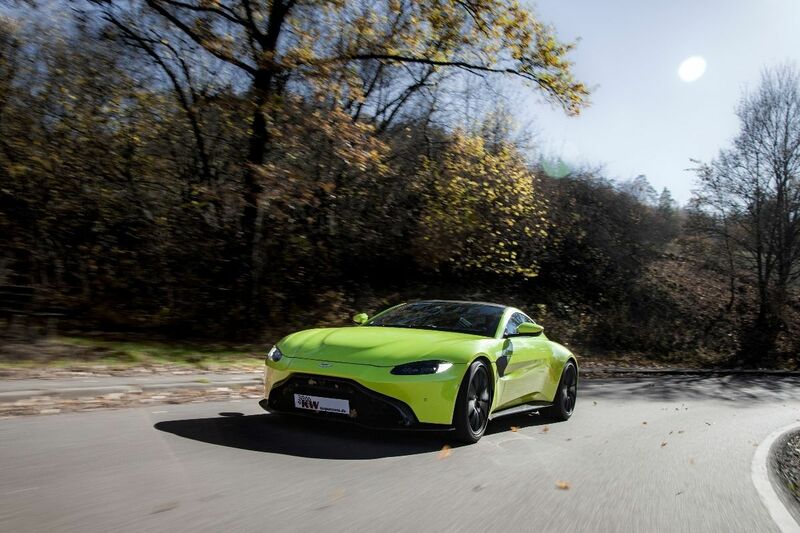 As with all KW suspension solutions, the engineers at KW develop in extensive test cycles on the Nürburgring Nordschleife and in our test center on the KW 7-post rig the vehicle-specific KW suspension setup estimated by car enthusiasts worldwide. When developing the respective spring kits, we consider that the spring rates also harmonize perfectly with the various damper characteristics of your adaptive standard suspension. So you will experience your car even more directly and dynamically with our KW height adjustable springs.